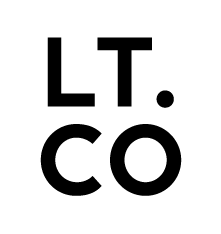 Join Creative Director, Designer and Candlemaker Laura Thomas (Laura Thomas Co) and team at the LT Workshop in North Berwick for an exclusive half day workshop at the LT HQ in North Berwick. During the morning you will learn the art of scent blending and balancing and make your own soy wax Christmas candles with traditional Christmas Scents. Then you will make a seasonal festive Christmas Wreath with a coastal twist (optional) and add essential oils to your wreath for make it smell amazing on your door or in home for this Christmas. You will make two 8.5oz sized soy candles (with a total burn time of 60 hours), break for coffee and homemade cake, then then set to work making your festive Christmas Wreath, then adjourn to lunch to sit around a long table seasonally styled by LT, over looking North Berwick Law for an LT vegetarian lunch served with a glass of alcoholic or non alcoholic fizz. Take away products with a value of £75. Learn the art of scent blending and the process involved in balancing more than one scent together using Christmas focused oils. Make your own wreath from your front door or within your house this year. Make a traditional wreath with foliage collected from around East Lothian and grown in Laura’s garden and add decorative touches to it such as Dried Orange, Dried Apple, Star Anise, Dried Chillies, Pine Cones or add a coastal twist with some prepared Shells and Driftwood ready to add to your Florist’s Oasis. Add drops of Essential Oils to add scent to your own very unique wreath. Sit at a long table over looking The Law beautifully styled by LT. You’ll be served a homemade vegetarian lunch made by LT (a previous cafe owner) and enjoy a well earned glass of Festive Fizz. Workshops are roughly 3.5 hours long. Take away with you two container Christmas candles, and one Christmas Wreath worth £75.